It Does Not Hurt, So Why Worry? On occasion a patient may come into our office just for a routine check-up and get surprised when we tell them that they would need a treatment like a filling, a crown, or a root canal. Why are they surprised? It’s because they haven’t even felt any pain. They often question the need for the recommended treatment because they feel fine. Well, the answer is pretty simple. Many people do not know this, but the truth is, by the time a patient feels pain, the problem has already escalated and the decay has probably progressed to a more serious or damaging level, affecting the tooth and its surrounding tissues. That often means a more involved and probably more expensive procedure would be needed, too. For instance, you may already know that a cavity is simply a hole in the tooth caused by plaque (a sticky substance in your mouth made up of germs. If a dental professional catches the cavity in its early stages, a simple treatment like a filling can solve the problem. Cavities seldom cause pain until they’ve been ignored and the decay has gotten bigger. This is often that stage when the decay has broken through the enamel or outer layer all the way to the pulp or nerves. In this more advanced stage, a simple filling may not work or, may lead to the need for a root canal, which is a more extensive procedure, may be needed. 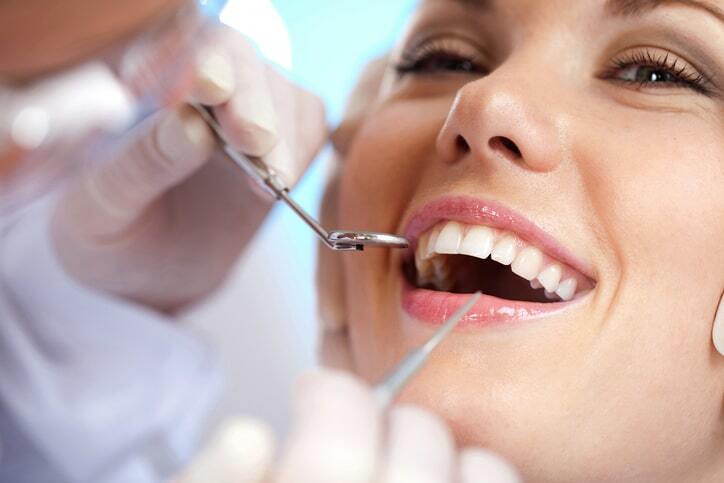 When the pulp of the tooth has been affected by decay, a root canal is performed by dentists. You see, the canal reaches down through the roots of your tooth and into its surrounding bone. A root canal basically hollows out the middle part of the tooth, fills it, and seals it completely to prevent any bacteria from getting inside. The main purpose of this procedure is to save the tooth since the soft middle part is not necessary for the tooth to function normally in your mouth. You may think that if your tooth requires a root canal, then you’d definitely feel some pain, right? Well, not really. Sometimes, even teeth that need root canal don’t cause any pain. Your trusted dentist from Pickering Square Dental can see if there is anything wrong with the pulp of your tooth – it may be damaged or there may be some signs of infection. If your dentist finds a need for a root canal, then it would be done to avoid further infection both to the tooth and the nearby tissue. This is another procedure that is often necessary, even if the patient is not feeling any kind of pain. The crown is the part above the gum line that you see. A dental crown is a replacement that is created to partially or completely cover the outside of your natural tooth. There are a few reasons a dentist might recommend a crown. For one, a tooth may have a large filling that shows signs of cracking or weakening. You cannot wait until that filling actually cracks because that would expose the nerves and you’ll experience extreme pain. A tooth that has undergone a root canal almost always needs a crown. In other instances, a dentist notices that a tooth is beginning to crack. In such a case, a crown can hold the tooth together and prevent further problems. A regular check-up for preventive care can make a huge difference. You can avoid most dental problems or keep them from getting worse. Unfortunately, some people only visit their dentist when they are in pain, thinking they feel fine so there must be nothing wrong. But as with most other medical conditions, catching dental problems in the early stages could spare you from more complex and more expensive procedures. Be responsible and give your oral health enough attention. A quick trip to Pickering Square Dental as scheduled can help you enjoy the benefits of healthy teeth and gums. Call us and we’d schedule you for a check-up! « Hello! How are Your Gums Doing?